Emily Gera, has reported on the success of research on Virtual Reality (VR) interventions for people with Autism. As a father of a son with Autism and as a teacher of students with Autism, I appreciate the value of VR Interventions to create a safe and realistic space to practice social skills. “In theory, the more realistic and immersive, the less processing is required,” says [Justin Ehrlich, Ph.D.]. This year, I started using immersive virtual reality in my classroom. I recently built a space for the students to actively participate in this amazing experience. The students have given me very positive feedback – they LOVE it! I call it the Virtual Reality Lab, but some of them call it “The Alien Space Ship”. They love the virtual reality experiences and they are engaged in learning! I am currently using HTC Vive. I built an 8″ by 8″ frame with PVC pipe. I attached curtains (silver reflective roll insulation) to the frame. The “door” and windows are clear plastic. I attached the sensors to adjacent corners. I added a line of LED Lights to the top. In the last sentence of my dissertation, I wrote that “Virtual reality would take teachers back to school”, it has taught me quite a bit! It’s amazing to see students experience virtual reality for the first time. It’s great to see students so actively engaged in learning! The Bound Copy of my Dissertation has Arrived! It is great to have a physical copy of what was for so long an electronic file on my laptop. Higher-Order Thinking Skills in Digital Games by Anthony W. Palmer. My presentation on Higher Order Thinking Skills in Digital Games got off to a rough start with the sound system, but fortunately they were able to fix the problem. The rest of the presentation went well. I was so happy to have my extended family their to learn more about what I’ve been working on! Once again the audience had excellent questions about games and learning. I presented my research on Higher Order Thinking Skills in 3 iPad Games, at the California Educational Research Association in Sacramento California. My room was full of people who asked many thoughtful questions about games and learning. 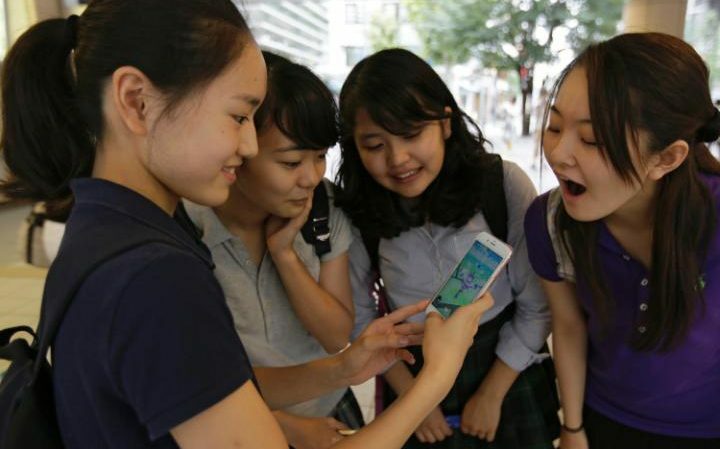 The popular game Pokémon Go can be leveraged for learning.